"Appreciation of our great history and heritage does not need to be embodied to grand structures because the greatest parts of the past were built from small details." 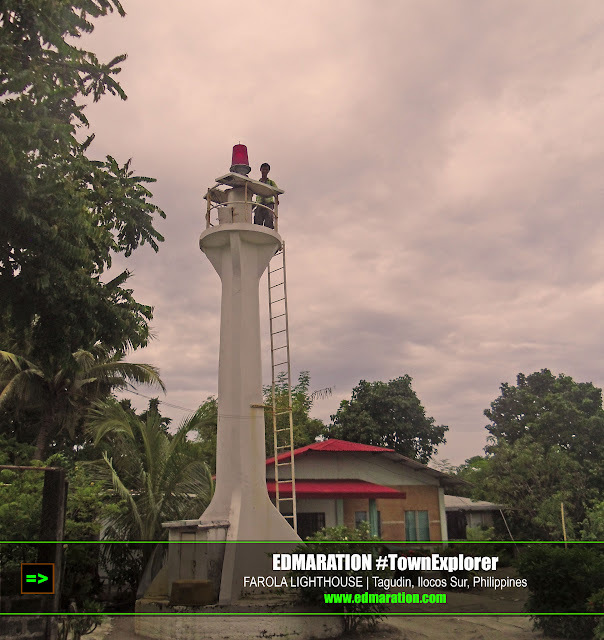 Yes, it is really my first time to see a lighthouse, in person. I have never seen one even in my dreams. Good thing there is TV and internet. 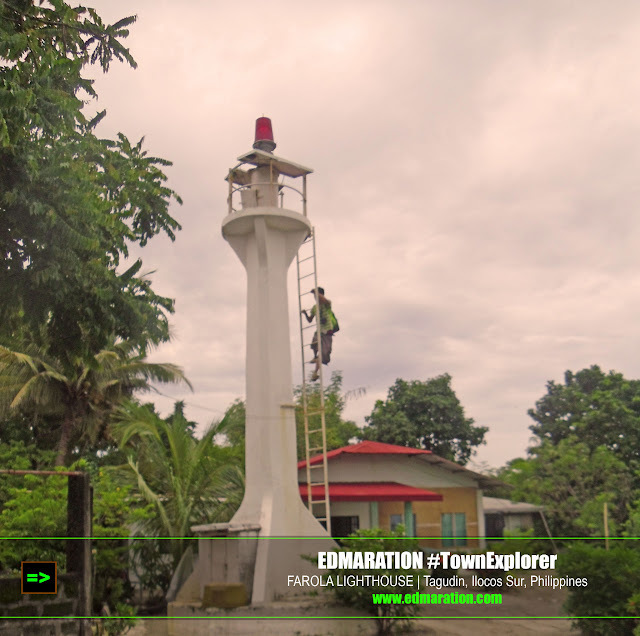 At least, they made me realize that lighthouses are not really the upscale type of houses -- and not really a house, nor the bright luxurious part of an exclusive mountainside subdivision. 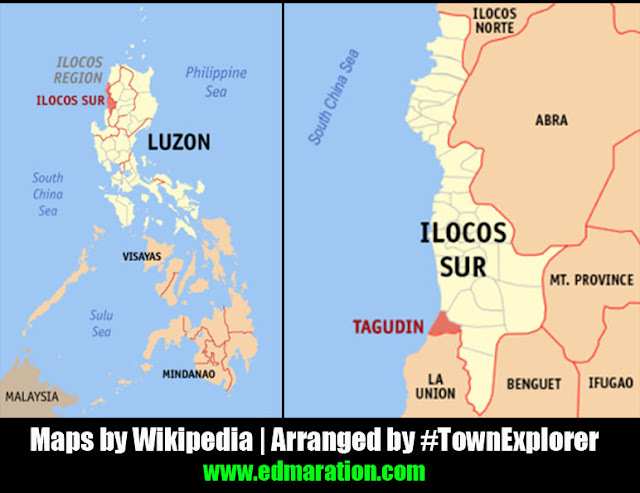 I wanted to maximize my time in the town of Tagudin. So what I did was to go to the municipal hall and meet the tourism officer. Honestly, the tourism officer was accommodating and nice. What I just wanted was information about places to see in Tagudin until it leveled up! Whew! I was asked to meet the Mayor!!! Hmmm... I was already in queue, but since I only have limited time and the wait has been too long, I decided not just to meet the mayor. Outside the office, I saw a picture of a lighthouse and that was the start of the Amazing race (solo version). Below the municipal hall is a line of yellow tricycles waiting for passengers. I was able to grab one. And finally! For the very first time in my life, for the 24 years of my existence, through thick and thin, through all the struggles, typhoons and floods, elementary, high school, college, post graduate school and all that (LOL! ), I will be seeing a lighthouse! 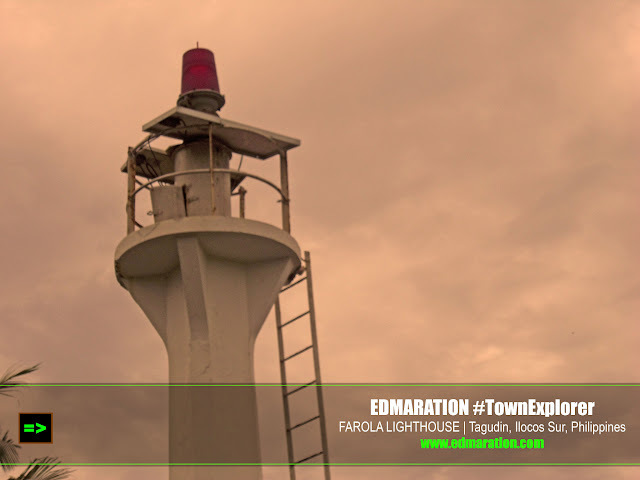 Farola Lighthouse shares a slice of the history of the town. 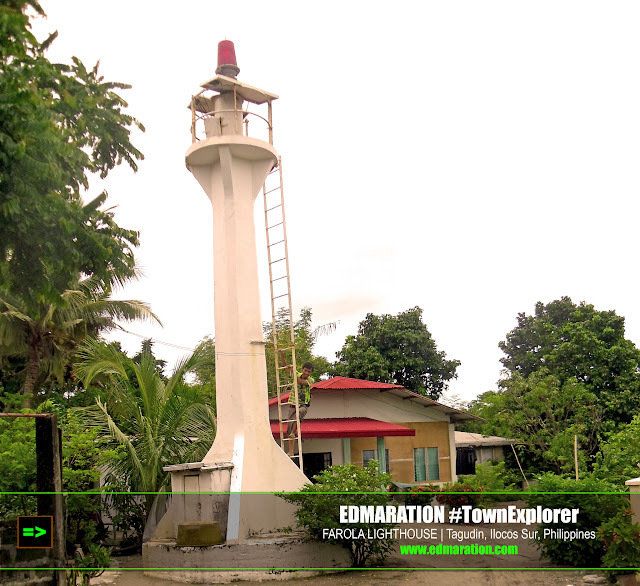 The existence of this lighthouse traces its roots from Belgium in Europe. 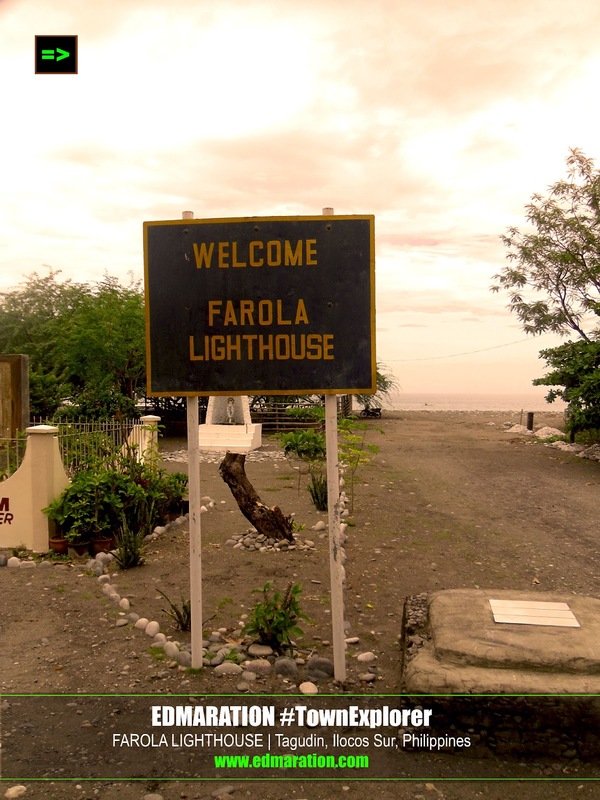 The story started when a group of missionaries from Belgium landed on the shore of Brgy. San Roque (present-day Brgy. Farola) by boat. The group was headed by Sister Marie Louise de Meester and they set foot to San Roque on June 21, 1910. The lighthouse has been standing about 100 years now! 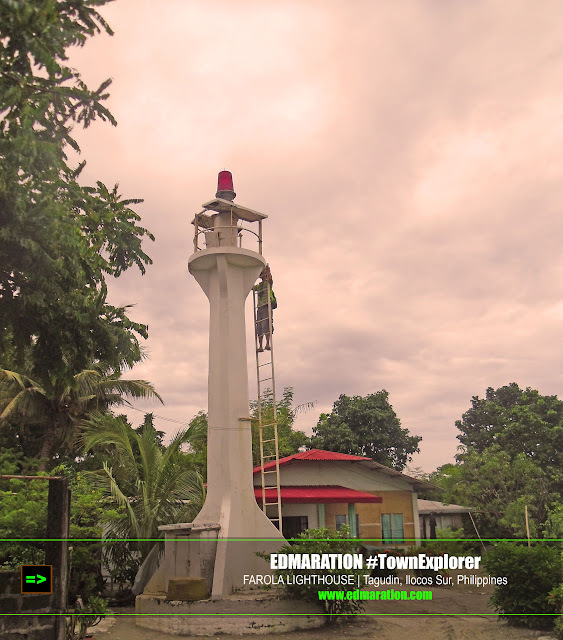 As a symbol of their landing in the Philippines, they built a PAROL (Lighthouse). 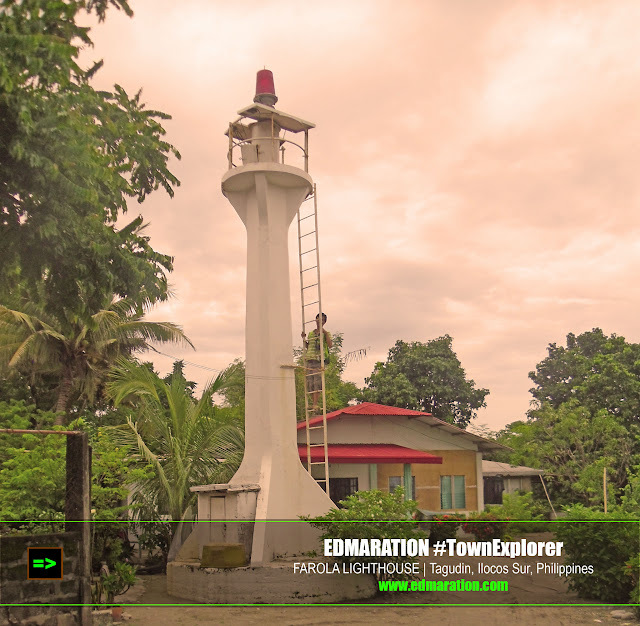 Later on, the small Parol became famous to all fishermen and this has served as their guide when they go back and forth to the sea. This group is called the CICM Missionaries -- the group who is responsible in the foundation of the famous institution in Baguio City, St. Louis University, the St. Louis College in San Fernando City, La Union and the At. Augustine School of Tagudin. I did not let the opportunity to pass without climbing the lighthouse. When I arrived there, it was not a grand lighthouse like what I am seeing on TV and Internet. But why be fooled by a grand lighthouse if the history and story is not as sweet and juicy as the history of this small lighthouse? Appreciation of our great history and heritage does not need to be embodied to grand structures because the greatest parts of the past were built from small details. I asked my guide if I am allowed to climb the lighthouse. The tricycle driver (my guide) had no idea. 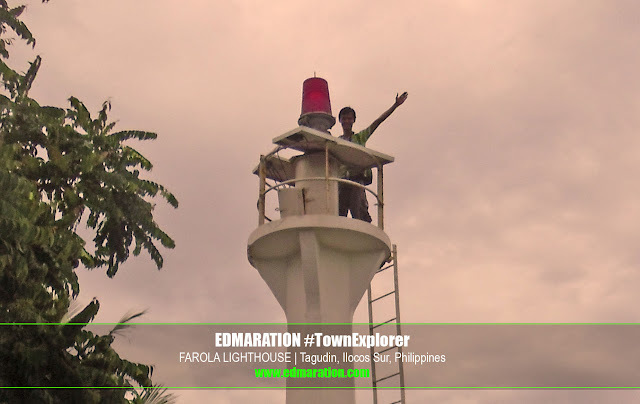 So what I did is to ask the residents near the lighthouse if I can do it. One lady said it's OK. 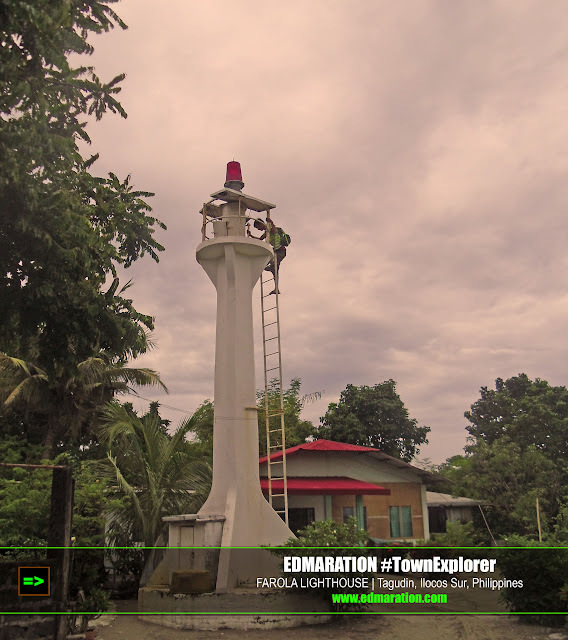 The lighthouse is located within the residential community and there was no stunning seascape background to see unless you go near the beach... or climb it instead. The old lighthouse is already rusty. As I step my foot to the first steel in the ladder, there was hesitation. I wasn't sure why I still care to do it. Huh, what am I doing? The steel feels like it can be detached anytime. Actually, some have been in fair condition. But I still continued to climb it. Before I reached the top, I again, was reluctant if I will continue it because of the possibility of electrocution. I am really eccentric this time that I was so compelled to climb it. Thank God I was safe! At the top of the lighthouse are solar panels and an amazing view of the sea. I won't recommend you to climb this. But if you want, let it be. But be cautious. A white paint concealed the old rusty steel ladder. It is medyo delikado. I Visited an off-beaten destination in the town called Ambalayat Hanging Bridge. This is a great place for adventure-seekers in Tagudin.